If you hope to be and stay successful in your chosen profession, you’ll need to be just as good at caring for yourself and your family as you are at caring for your career/business, at understanding and managing the interwoven worlds of your personal and professional lives. Otherwise one, or likely both, will suffer. Fortunately, the kinds of skills that are critical for work – the ability to pause, think, observe, experiment, analyze, and decide – are just as useful for personal life. Especially when you leverage appropriately designed tools and techniques. 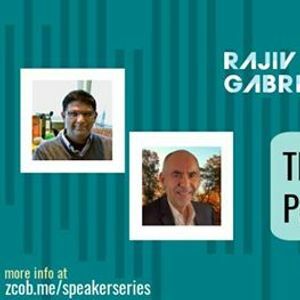 Join us for this riveting talk with Rajiv and Gabriel to learn about the tools of "personal science," featuring Atlas Caregiving's revolutionary Atlas CareMaps. CareMaps serve as a way for people to better understand and strengthen their care ecosystem by drawing their family care ecosystems.